Here I am on the first day of NaNoWriMo — National Novel Writing Month — tapping away in a WordPress window. I am writing. Or, should I say, I #amwriting? I don’t have to write a novel. But that’s what a lot of other writers are doing this month. The goal for most is to log 50,000 words, enough for a novel, by the end of the November. According to my tweetails, I already spend 28 hours every month JUST WRITING TWEETS (on average 33 per day). So 50,000 words should be a breeze, right? So anyhow. Here are five more words. And another three. This isn’t unfolding how I thought it would. On the other hand, I am writing. And that’s the hardest part about NaNoWriMo: doing the work. While some people hate the whole process, I’ve always sat on the sidelines during November wishing I’d gotten my act together in time to participate. I appreciate that NaNoWriMo inspires writers and would-be novelists to try harder, instilling in them the importance of daily practice. I recently signed my son up for piano lessons at his school. During the meeting in which parents and students met the music instructors, one of the piano teachers played Claude Debussy’s Arabesque No. 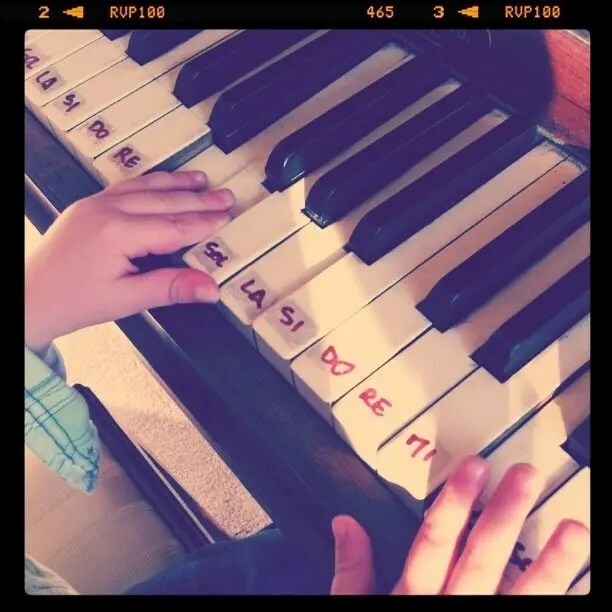 1, a song my son knows thanks to a playlist of lullabies he has listened to at bedtime since he was a baby. After the first lesson, my son came home and, instead of working on the songs given him for practice, he attempted to play the Debussy piece. “You have to practice the easy stuff first before you can play like that,” I said in a rare moment of wisdom. As I heard these words come out of my mouth, it was easy to take the mental leap from piano playing to writing. Practice. Practice every day. Practice when you don’t want to and practice when you do want to. Practice even though it’s going to take a long time for you to sound the way you want to sound. It’s the only way you can get from here to there. I have a list of several writers whose work I regularly read. The immediacy and casual back-and-forth of social media make it feel like these writers are my peers. And they are! In almost every sense of the word. But then their words glimmer on the page where mine just seem to take up space. It’s The Gap that Ira Glass talked about, that chasm between taste and skill that is hard to overcome until you take the first step towards bringing them together. This month, I do not plan to write a novel. It has taken me writing this post, working through the words, to confirm that I am not ready to write a novel. But I am ready to practice. Each day this month, I plan to practice in the hopes that I will make daily writing a habit. I already write daily as part of my freelancing jobs (with multiple Ss), but a lot of that feels, frankly, phoned in. This month, I want to write every day. But that doesn’t mean that I will publish something every day. Perhaps I’ll keep much of my work to myself in a Google doc or Evernote note or Scrivener project. I also like the idea of using each day to do the other chores of writing: editing pieces that are almost ready; reading more books and articles that nourish my brain and give me a feel for language rather than ones that raise my frustrations; pitching a piece or two. How can I expect to play Debussy (i.e., write a novel) if I haven’t worked on the basics yet? Why not try to write a 4,000-word long form article before writing a 50,000-word book? I am writing this post for personal motivation. If you’ve gotten this far, perhaps I have motivated you, too. This whole NaNoWriMo is not going to be easy. This is going to be a slog. But I owe it to myself to try. Have I mentioned that I am writing?